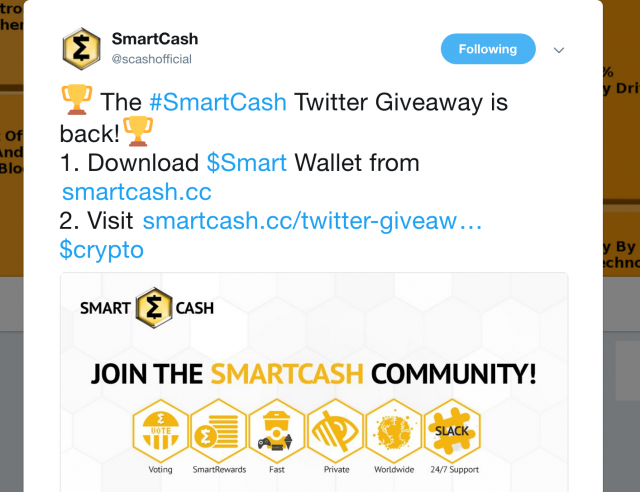 The #SmartCash Twitter Giveaway is back! Retweet for a chance to win 10,000 SmartCash on Aug 20th! Resteem for a chance at $50 SBD as well! To enter for a chance at $50 SBD, simply resteem this post! When will there be DumbCash ? Haha joking. Let's see what smartcash fixed a gift for me.